Fracking: MPs and Lords have derelicted their legal duties. The rushed passage of the Infrastructure Bill with all its pro-fracking provisions and toothless ‘safeguards’ is an abuse of democracy. And as it’s manifestly against the national and public interest, it’s also in breach of both MPs’ and Lords’ legally binding Codes of Conduct. Among other obligations it reminds MPs that they “have a general duty to act in the interests of the nation as a whole; and a special duty to their constituents”, and that they must “take decisions solely in terms of the public interest”, the latter obligation also applying to members of the House of Lords. As SAFE we wish to thank all those that have supported the fight against the Shale gas industry on the Fylde. These include all the groups, technical support from Mike Hill and the legal support of Friends of the Earth. On Monday, SAFE along with Mike Hill made presentations relating to ecology , lack of an EIA and HRA, well integrity and abandonment and also the legal aspects of the matters raised in the application. At yesterday’s planning committee meeting SAFE were supported by members of all the local groups who made short presentations to the councillors on the concerns of the extension to an application which was initially granted in 2010 for 18 months. These were well received by the councillors who picked up many of the issues concerning planning, ecology, noise, well integrity and abandonment including the potential impact of dealing with orphaned wells. The planning regulations that were stated with regards refusal were SP2 of the Fylde plan, CS5 of the LMWDF and DM2 of the LMWLP. We are delighted with the planning rejection which was achieved by the commitment and dedication of local people working together and supporting each other by sharing information and expertise, this has been key to the outcome. The excellent presentations given a few weeks ago from Roseacre and Little Plumpton to the planning committee contributed greatly to the refusal of our application. We have yet to find out what actions Cuadrilla ‘perplexed and disappointed’ will take. 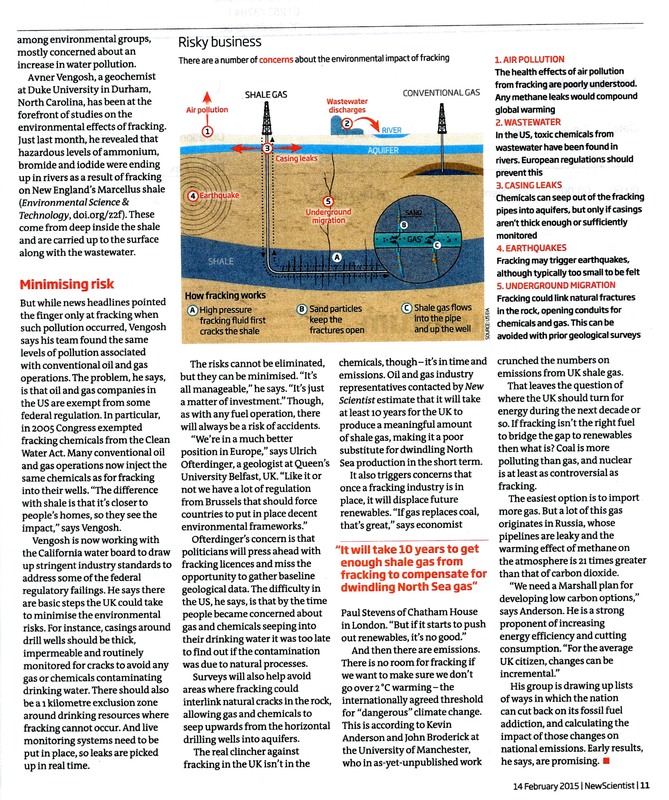 SAFE will continue to support and fight alongside the other groups against the other applications and also the development of the On Shore Shale Gas Industry. LANCASHIRE COUNTY COUNCIL REFUSE PERMISSION FOR TESTS. More than 300 objections have been lodged against plans to allow a fracking firm to carry out tests at a village site. 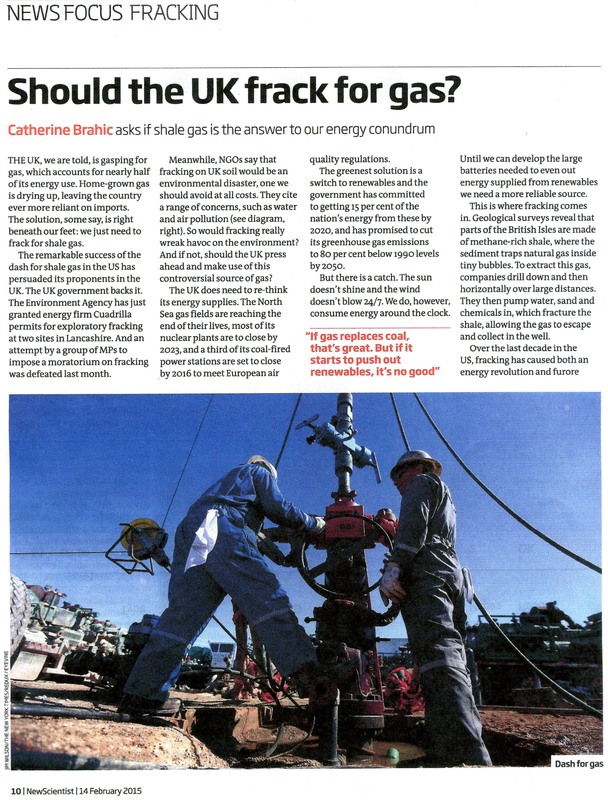 Should the UK frack for gas? From the New Scientist 14 February 2015. The government had regular contact over a period of five months with Lancashire County Council about Cuadrilla’s applications to frack in the Fylde, according to a parliamentary answer published this week.